1Not available with special financing, lease and some other offers. See dealer for details. 2Not available with special financing, lease and some other offers. See dealer for details. 3Conquest% Cash Back. Stackable% Cash Back for customers who have owned or leased a NON-GM vehicle for a minimum of 30 days. Allowance Available of GM Program info. Compatible with % off and % Conquest Private Offer Only. THIS IS THE CHEVROLET CONQUEST INCENTIVE FOR CURRENT OWNERS/LESSEES OF A 2005 OR NEWER NON GM (I.E., NON-BUICK, CADILLAC, CHEVROLET, GMC, HUMMER, OLDSMOBILE, PONTIAC OR SATURN) PASSENGER CAR OR TRUCK 4Excludes base models. Monthly payment is $16.67 for every $1,000 you finance. Example down payment: 19.9%. Must finance with GM Financial. Some customers may not qualify. Not available with lease and some other offers. Take new retail delivery by 4/30/2019. See dealer for details. The new Chevrolet Colorado, featured at our Chowchilla dealership, is as hardworking as you are. With features including class-leading towing abilities and powerful engine, it provides additional performance to any workday. Standard amenities, with affordable options, present in this truck offer the best combination of quality and value in its class. The interior of the new Chevrolet Colorado, showcased at our Chowchilla dealership, provides all-around peace and quiet so you can relax after a hard day at work. It’s built around a muscular frame and a solid suspension, providing durability and reliability while towing heavy loads in and around Chowchilla. 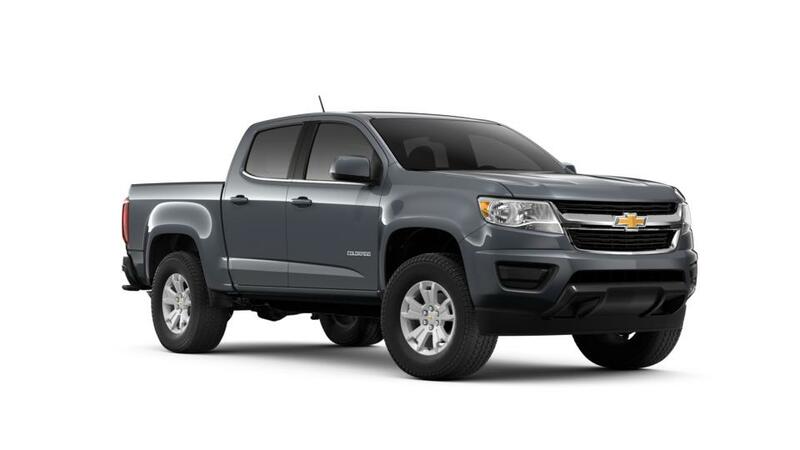 You can find a range of new Chevrolet Colorado models at our Chowchilla showroom. Our inventory conveys all that you need to know about this midsize truck. Test-drive the new Chevrolet Colorado at our Chowchilla dealership now! Visit our hours and directions page for detailed driving directions to our dealership. You can also make most of the financing options that are available at our dealership and buy yourself a brand new Chevrolet Colorado in Chowchilla now!